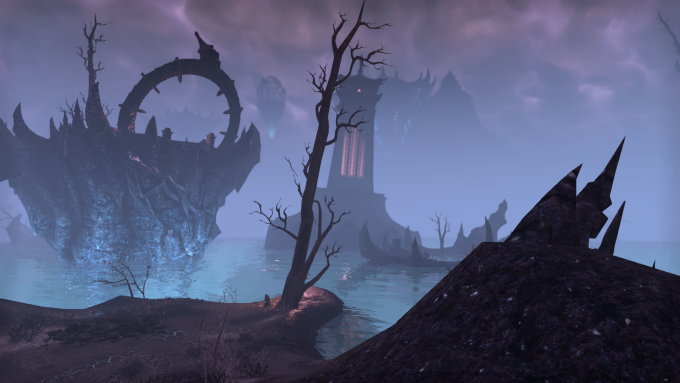 A few weeks ago, we looked into ideas that Western MMORPGs would do well to borrow from their Eastern counterparts. Now, it seems only fair to do the reverse, for there are also areas where the East would do well to take some cues from us. To address an elephant in the room, a lot of people will highlight grinding and overbearing monetization as the chief sins of Eastern MMOs, and I won’t say that’s entirely wrong as those are common problems in games from Asia, but I don’t think it’s a universal truth, and plenty of Western games are grindy or greedy too. I don’t see it as a black and white issue. Either way, the idea of Eastern games being tedious and “pay to win” has been beaten to death, so I’d rather focus on other areas where Eastern games would do well to take some lessons from the West. I wouldn’t say that Eastern games are lacking good lore or the potential for interesting stories. I’ve been saying for years that Aion’s lore is really fascinating and far better than it ever gets credit for. The problem, though, is that in most Eastern games I’ve played, the story still feels like kind of a background element. There isn’t a lot of effort put into developing it or helping the player experience it in a dynamic way. It’s usually bland quest text. In the West, we’ve seen MMO games make great strides toward better story-telling in recent years. Voice-acting, cutscenes, and story events have greatly increased in both quality and quantity. 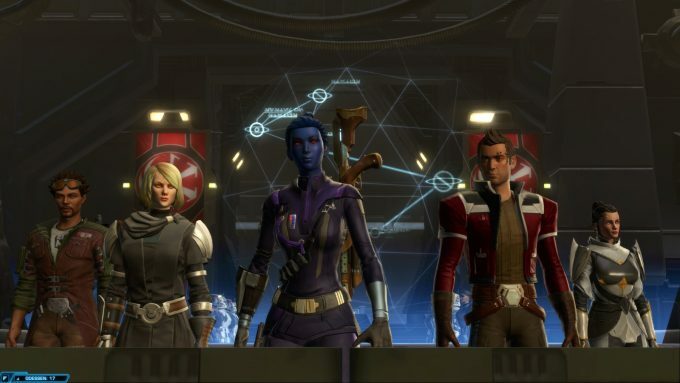 Games like Star Wars: The Old Republic, The Secret World (RIP), and Elder Scrolls Online have shown that MMOs can offer stories as strong as anything in the single-player realm, and often treat story as meaningful content in its own right, equal to raiding or PvP. You generally don’t see this kind of thing in Eastern games, and even when you do, it’s usually hampered by poor localization. Again, there just doesn’t seem to be a lot of effort being made. One thing that always bugs me about Eastern MMOs is that a lot of them don’t offer a selection of playable races, and even when they do, their racial choices tend to be severely underwhelming. You can be a human, a tall human, a human with cat ears, an Elf analogue, or for some reason a prepubescent girl. I think this is a trade-off for how much more powerful the character creators in Eastern games tend to be. It’s a lot of work to design robust customization options for a variety of strange and exotic races. But Guild Wars 2 did a pretty good job of balancing both, so clearly it can be done. Western games don’t always have as much racial variety as I’d like, either, especially when it comes to more recent titles, but even so it’s safe to say we’ve got the East beat in this regard. World of Warcraft lets you be (among other things) a giant cow, a zombie, a panda, a werewolf, or a space goat with tentacles. GW2 lets you be anything from a giant Viking to a cat monster with horns to a talking salad. I don’t even have space to list the staggering variety of oddball races the EverQuest games let you play as. “Realistic armor” probably isn’t the right term, seeing as MMO armor is almost never realistic, but there’s a line between “adding some artistic flair because it looks cool” and “you’re literally fighting dragons in a pole-dancer costume.” Most Eastern games have soared so far past that line they circled the Earth and passed it again. Putting aside the obvious sexism, I just can’t take a game seriously when even high level armor leaves all major organs and arteries exposed. It’s just dumb. And the fact that the aforementioned little girl races usually end up in stripper costumes too just adds a whole other level of wrongness. TERA general chat is still the most disturbing thing I’ve ever seen in an MMORPG, and I played The Secret World as my main game for years. 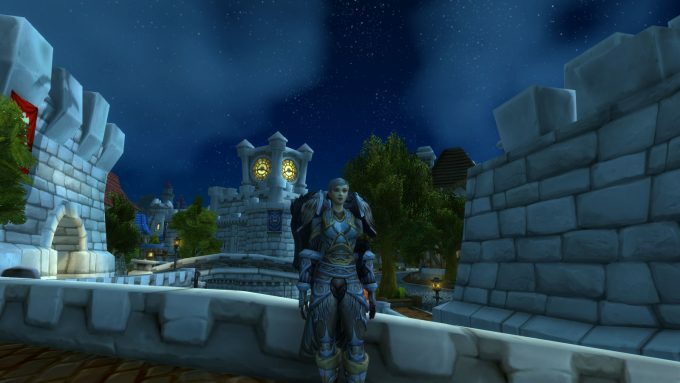 The West definitely doesn’t have a spotless record when it comes to the “female armor” issue, but things have certainly gotten better over time, with most sets in most games now being about as revealing (or non-revealing) for either gender and armor in general making at least some effort toward verisimilitude. And even at our worst, we never quite equaled the absurdity of gear in many Eastern games. Eastern games often seem a little too eager to throw immersion out the window when the mood strikes them. I remember aways back TERA added a police car mount completely out of the blue. A police car. In a secondary world high fantasy MMORPG. That’s an especially egregious case, but it seems to be pretty common for Eastern MMOs to randomly through in cross-overs with totally unrelated games or other obvious anachronisms that just don’t make sense in context. This is another area where the West definitely doesn’t have a perfect track record, either. You can find the Hellbugs from Defiance in Rift for some reason, and World of Warcraft’s events tend to echo real world holidays to an uncomfortable degree, but I’m not sure we’ve ever gone to quite the same extremes the East has. This entry was posted in General MMOs, MMO Game Design, Top X Lists and tagged Aion, Elder Scrolls Online, EverQuest, Final Fantasy XIV, Guild Wars 2, Rift, Star Wars: The Old Republic, TERA, The Secret World, World of Warcraft on July 25, 2017 by Tyler Bro. In addition to stripper costume female armor, you can add absurdly oversized weapons (i.e. sword that is double the height of the person wielding it) to the list. Although this is more of a stylistic choice, it is a big reason why eastern MMOs never appealed to me. It’s fine in cartoony games, but it’s comical in games with realistic art styles like TERA.